Encourage people to visit the front page of this site to download the introductory chapter for the series. Post about the books on social media, promoting the event, this book website, the download of the introductory chapter and the Amazon author page. 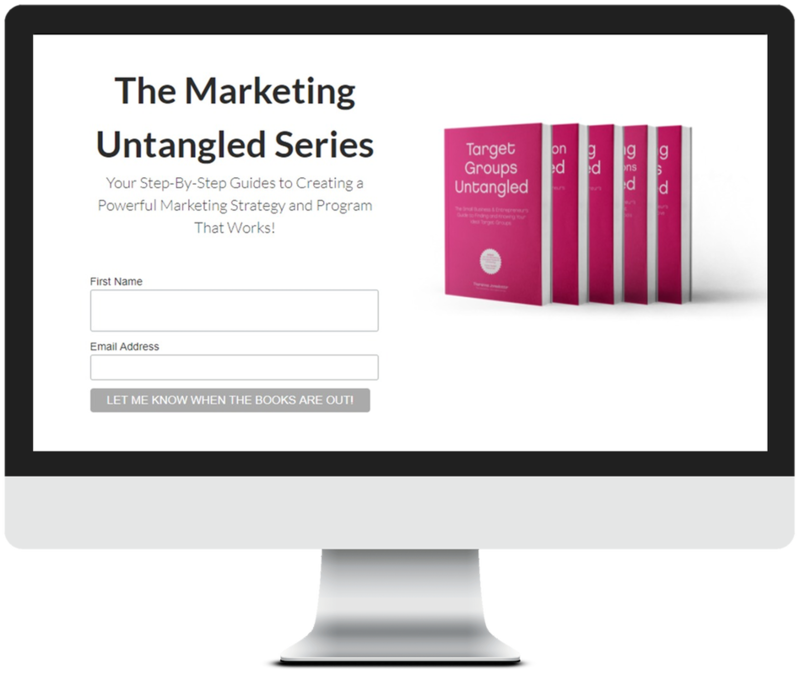 Check out The #Marketing Untangled Book Series out this year at: marketing-untangled.com #marketingstrategy #marketingplan - you could get a free copy! 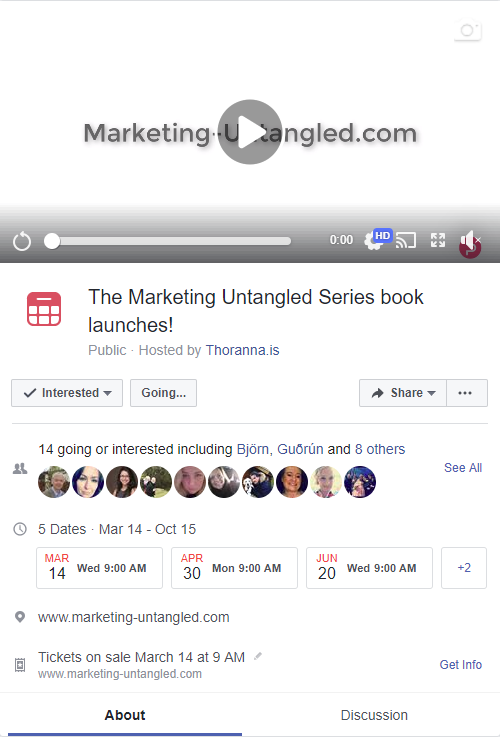 My friend Thoranna is publishing her book series on marketing this year. Find out more by downloading the introductory chapter right here: www.marketing-untangled.com (no signup required). 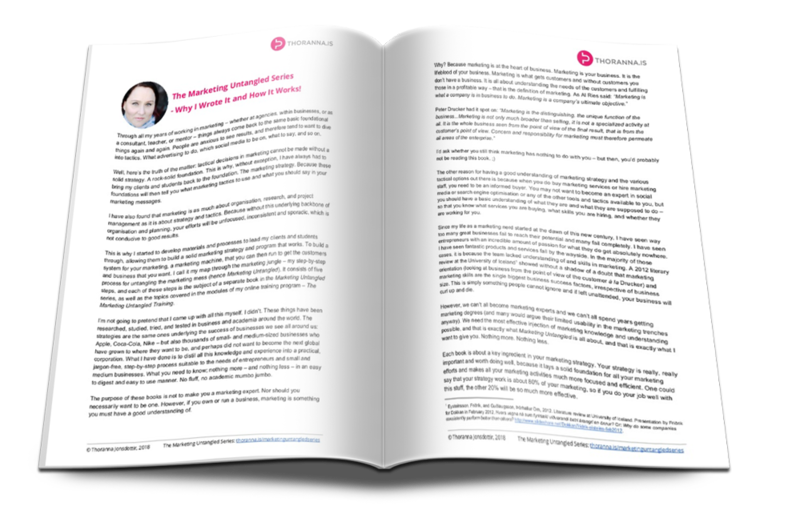 Do you want a step-by-step guide to building your marketing strategy and plan? Then you're in luck! My friend Thoranna is publishing her book series this year. 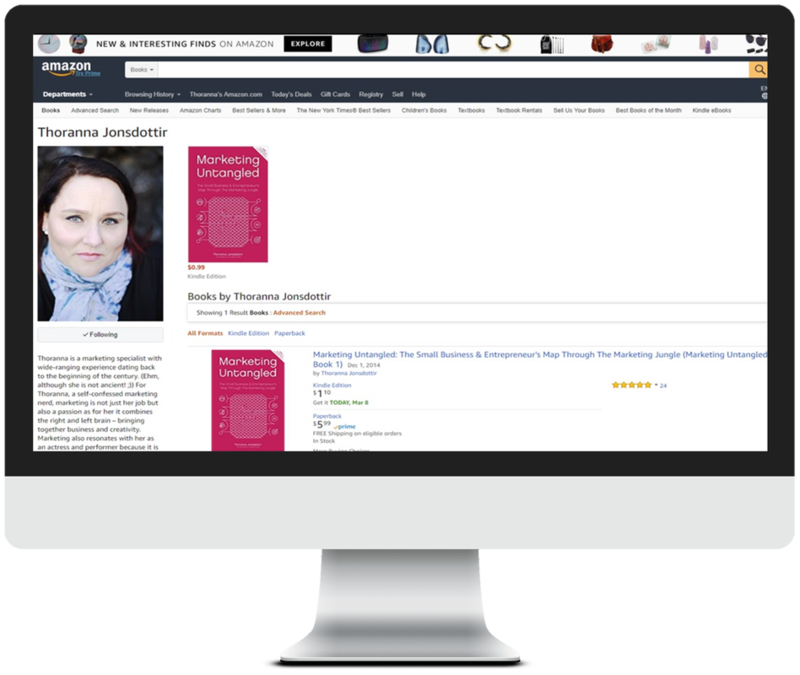 Find out more and download the introductory chapter right here: www.marketing-untangled.com (no signup required). And even better - you could send an email to people you think would be interested. Here is some draft copy for you to use! I thought you might be interested in knowing about books being published this year by my good friend Thoranna Jonsdottir. She's publishing a five book series on marketing for small business and entrepreneurs. The series is called Marketing Untangled and in it she gives a step-by-step guide of the five main parts in developing a marketing strategy and plan for your business, product or service: target group analysis, competitor analysis, brand building, marketing communications and creating a marketing system. Check out the book website at www.marketing-untangled.com for more information. There you can also sign up to be notified when each book comes out (so that you can grab your free copy) and you can download an introductory chapter. Share the Amazon Author Page with your friends, where they can follow me on Amazon and get notifications when new books are out! Of course the big one is for you to get your free Kindle copy when each book is released and available for free for a limited time. I'll send you an email to let you know when that is. The downloads will help put the book "on the map" at Amazon, so to speak. Click here if you want more information about how to submit a review on Amazon.